After Leap Motion's somewhat disappointing debut, you'd be forgiving for wanting to wave off the idea of third-party gesture control peripherals. But wait! Unlike Leap, Reactiv isn't trying to revolutionize human-computer interactions with its Touch+ controller—there's no wizard-like finger waggling or Minority Report-style hand waving here. 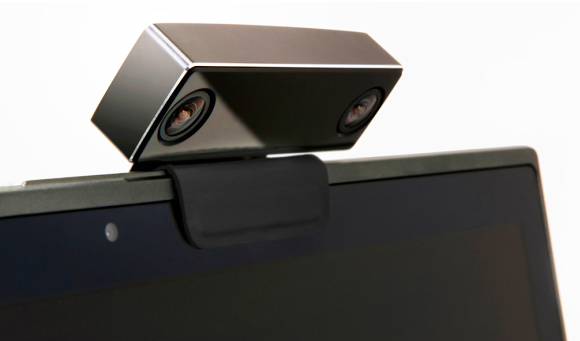 Instead, the Touch+'s dual cameras turn any surface into multi-touch input device. 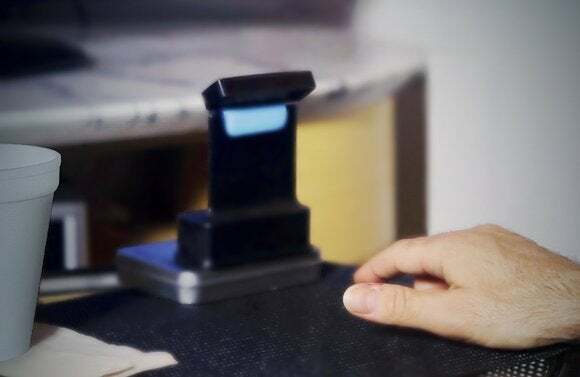 Touch+ was born out of Haptix, a Kickstarter project that raised more than $180,000 from backers. Over the past year, Reactiv refined the Haptix vision to eventually become Touch+. While Touch+ certainly won't be for everyone, Reactiv is positioning the multitouch PC controller as more than a mere tool for games and art projects. The video above shows the device being used in an office meeting, acting as a cursor control for a businessman's laptop before being repositioned on the fly to point at a projected display, instantly allowing the man to reach up with his hands to circle objects on the image. What's more, PCWorld sister site CITEWorld managed to snag a live demo with Touch+, and the founders focused on the potential productivity uses of the device: Enabling mouse-free control of Excel and PowerPoint, naturally manipulating pictures in PhotoShop, creating designs in CAD, the aforementioned presentation capabilities, and so forth. The Touch+ motion controller connected to the top of a notebook. The Touch+ works with Windows PCs or Macs, connecting via USB 2.0 or 3.0. If you choose to point it at your keyboard, the device will temporarily suspend its multitouch capabilities while you type, then resume when your fingers stop bobbing up and down. Sound interesting? An alpha version of Touch+ is available now on the Reactiv website for $75. Until we get our own hands on the device, however, we won't know for sure how the device stacks up to competitors like the Leap Motion.